My wife and I don’t get date nights as often as we’d like, and they tend not to be much more than dinner, coffee, and bookstore browsing, but sometimes we’re able to plan enough in advance to do something special. So when I found out a few months ago that Ladysmith Black Mambazo was going to have a concert at the Doudna Fine Arts Center at Eastern Illinois University, where I work, I bought tickets as soon as they went on sale. We’ve loved their music since Paul Simon’s album Graceland, and this was too good an opportunity to pass up. So after a nice dinner without the kids in tow, we headed to the theater, greeted old friends, and stood in line. I was looking around, and noticed a guy wearing a ball cap with the square and compasses. I didn’t know him, which was odd, since I know most of the Masons around here at least by sight. As it turned out, his seats were right behind ours, and we had a chance to talk. He and his son had just moved to central Illinois from Oklahoma, where he’d been an active Mason, and he felt a bit lost. I was able to give him contact information for his District Deputy Grand Master, tell him a bit about local lodges and Masonic events, and generally extend greetings to a Brother who missed his normal Masonic fellowship. None of that would have happened if he hadn’t been wearing a hat with the Square and Compasses on it. He also had a couple of Past Master’s jewels around his neck, several rings, and a Masonic t-shirt, and he asked me why no one in Illinois wore Masonry that way. Everyone back home did, he said. I told him that we tended to stick with rings and the occasional polo shirt, although if he came to a degree, he’d likely see some Brothers with pins enough to act as a bulletproof vest. We parted ways after the concert, musically sated and Masonically refreshed. But he got me thinking. Why don’t more of us wear our Masonry out loud? My fellow Midnight Freemasons, Todd Creason and Brian Schimian recently had a conversation about whether a Masonic ring should be worn points in or points out. As both of them would freely admit, this is an “angels dancing on the head of a pin” question, where the answer doesn’t matter as much as the discussion, and it appears that a good time was had by all who read it and commented. What does matter, though, is that we do wear the Square and Compasses so that people can see them. As Todd put it in an article we wrote a few years ago, “Traditionally, Freemasonry’s only form of advertising is Freemasons.” Our character is certainly our first and most important form of declaring to the world that we are of the Craft, but part of our responsibility to the Fraternity is letting potential Masons know that our character and the Craft are intertwined, and that it’s there for them too. 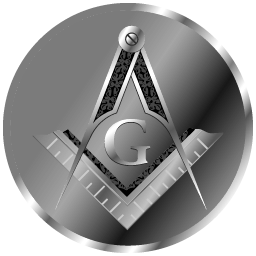 Freemasonry is becoming better known than it was a few years ago, but Freemasons aren’t unless they wear their Masonry in tangible form. I would never have talked with my Brother from Oklahoma if he hadn’t been advertising his Masonry so visibly, and 2B1ASK1 doesn’t work if no one knows who to ask. If more Brothers wore their symbols with as much visibility and pride as did my Oklahoma Brother, more men would know who to ask about the Craft. So, I’m taking a lesson from that evening. I’m going to pay more attention to being a Mason in more tangible ways. 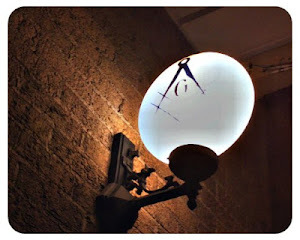 It’s certainly true that if I want my lodge to thrive, I need to be visibly a Mason in character, word, and deed. I need to encourage my Brethren to do things for the community, to exemplify the Work, to study our history, and to embrace the lessons of the Fraternity, but I need to do more than that. I need to wear my Masonry out loud. Great!!! I love this, and you are absolutely correct. I have had several instances recently where my Masonic "flair" (I hate calling it that, but it is what it is) has been noticed by someone and it has helped me out. Once by the minister at the Church I attend, he noticed my Shriners pin on my coat and started a conversation, as he too is a Brother. And he gets a huge smile on his face when I greet him as "Brother" now. The other two times were not by Mason's but daughters of Brothers. And both were when I was looking for a place to live. Those are the intangible benefits to the Craft. It it really is beautiful. At the risk of sounding like an elitist, I have always perceived the overly showy Masonic pieces of flair to be somewhat gaudy. It is reminiscent of the tawdry stuff I used to see being sold outside of the Post Exchange. It's not about being gaudy. I'm a man and proud to be a mason. I stand strong on my beliefs and don't quiver in my decision making. Great piece, and very true. We need to express it more... it's not showing off as it is more making ourselves available. I couldn't have said it better Brother Shirley. Thank you. Europe and especially the UK, is going the opposite direction. No rings, pins, etc. and there is specific direction from the UGLE not to wear S&C or lodge crests on ties when attending Grand Lodge- black ties only. That may to some extent explain why they constantly battle the 'secret society' claim with the press. We are quite blatant in our proclamation of Freemasonry, while they keep theirs inside the lodge room. I think there are advantages and trade-offs in both circumstances.